We come up with tomorrow's reliably engineered, creative and trend-conscious designs. 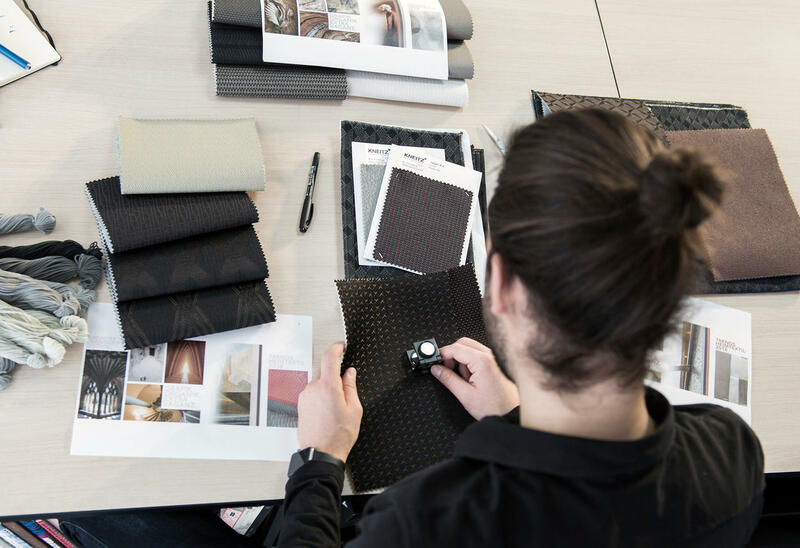 We reinvent textile surfaces and constantly develop even better performing fabrics. Our development teams consist of experts from various specialist areas. Our quality is the result of the way we collaborate across the various different segments and a synthesis of development and design. We have our own manufacturing facilities on site and can therefore not only efficiently develop samples further to full production readiness but also work on solving future development issues. For us, future-oriented development above all means keeping what is best for our environment and our customers in mind throughout each production step. We focus on design and technology as well as on the development of innovative and sustainable fabrics. The desire for innovations is growing exponentially, and the issue of a long product life cycle is becoming significantly more important. Innovation means far more that just identifying the colours and trends of the future; above all, it must focus on the establishment of disruptive production techniques, sustainable value creation and the guarantee that of we can offer our customers a continuously optimised application scope. With our individually designed "Techdays", we make it possible for our customers to learn more about ground-breaking technologies at an early stage, to convince themselves of the application benefits for their vehicles and to follow their implementation at the series production level when they are used for their exclusive application. We create ready-made collections for vehicle operators and original equipment manufacturers that meet their specific quality standards. We offer a choice of varying design themes that are based on the individual tastes of our customers. We design textiles that vary in terms of the materials and production technologies used and the level of innovativeness, and specifically address each individual customer's design language. Together with you, we realise customer-specific requirements and briefs. Thanks to the direct relationship between design and technical development, we work on solutions that are not only visually outstanding but also have a guaranteed long life cycle, offer process reliability and are easy to work with. 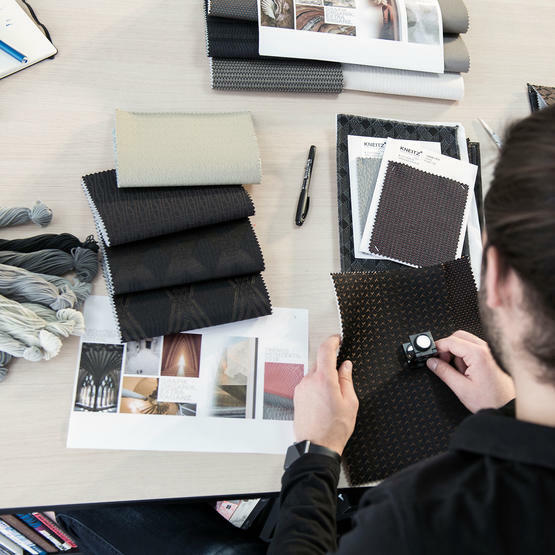 The most demanding textiles are created using a wide range of different manufacturing methods in close cooperation with internal production and finishing partners. Our fabrics are influenced by the particular customer-specific requirements, the choice of the materials used and the design. We implement quality assurance systems end-to-end along the entire value creation chain.